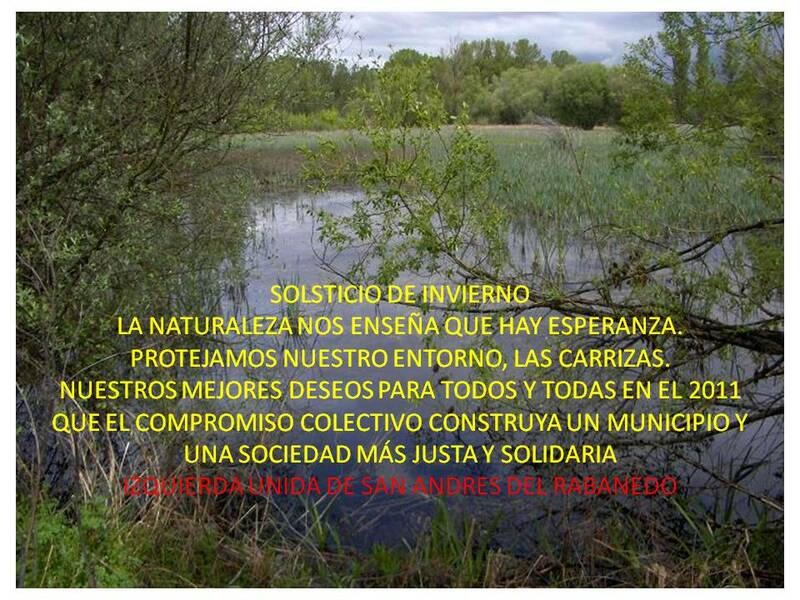 SOLSTICIO DE INVIERNO. LA NATURALEZA NOS ENSEÑA QUE HAY ESPERANZA. PROTEJAMOS NUESTRO ENTORNO, LAS CARRIZAS. NUESTROS MEJORES DESEOS PARA TODOS Y TODAS EN EL 2011. QUE EL COMPROMISO COLECTIVO CONSTRUYA UN MUNICIPIO Y UNA SOCIEDAD MÁS JUSTA Y SOLIDARIA.